Starting GPS Co-ordinates: N50 96' 10" W001 16' 60"
Finishing GPS Co-ordinates: N50 96' 70" W001 16' 80"
To see: Bishop's Waltham Palace, The Crown Inn. This is an extremely overgrown byway and damage to paintwork is certain. It needs to be subjected to a thorough clearance program before it will become worth driving. Starting on Park Lane at Lycroft Farm, the green lane heads north-west for a matter of yards before turning on to a northerly track. The surface before the turn is pretty descent as it serves as the tarmac driveway for a joinery company, but on passing the premises the surface changes to mud and leaf mould and the hedgerows that line it close right in to the extent that at times it is impossible to see where you are going! 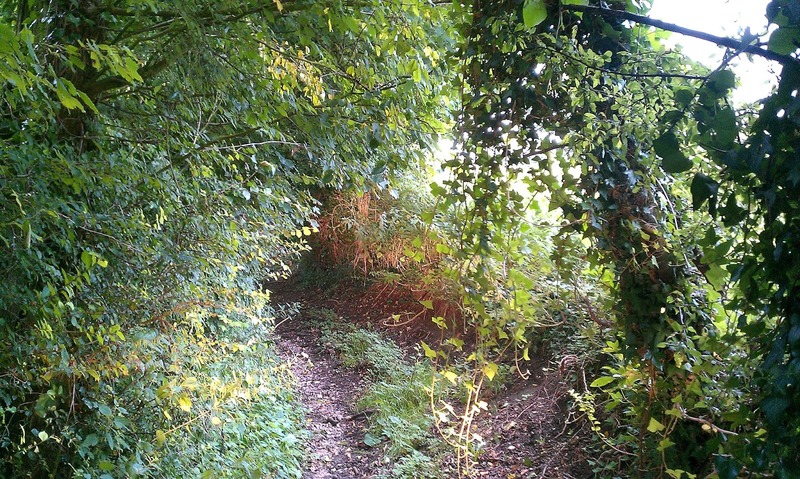 Lycroft Lane continues downhill through woodland with the foliage releasing its grasp only long enough for a bridleway to leave the lane northwards at roughly the half-way point. The respite only lasts a few metres before the undergrowth once again extracts its due for one last push before this short trail suddenly bursts out onto Dundrige Lane, where it ends (thankfully!). Quite the endurance test for such a short and unremarkable green lane, and as such you should listen to the squeals of protest from your paintwork and bypass it until cleared. Instead visit The Crown Inn in Bishop's Waltham: well worth a visit for your post-lane victualing, but don't believe its website because far from being in the middle of the Hampshire countryside it is instead most firmly in the middle of the town. They also offer rooms for those from 'forn parts' (read Equal Rites by Terry Pratchett). Whilst you're there by all means explore Bishop's Waltham Palace: the awesome ruins of a medieval palace used by the ecclesiastical top brass of Winchester in the Middle Ages. Their museum (on site) is also worth a look but check opening hours first at it is only open at weekends.